Shin Megami Tensei fans around the world are tuning up their Demonicas for their expedition to Antarctica when Shin Megami Tensei: Strange Journey Redux launches on May 15*! This won’t be an easy mission (what kind of SMT game would it be if it was easy? ), so we’ve enlisted the help of Strange Journey Redux’s elite core development team, including Director Eiji Ishida, World Setting Investigator / Level Designer, Tatsuya Watanabe, and Alex’s Character Designer / New Demon Designer, Masayuki Doi. Together, they took some time to answer some of our fans’ questions on the series, the results of which can be read below. Learn about what drove the team’s inspiration behind SMT games’ stories, get insight towards the creative process for character and demon designs, design priorities for Redux as a remaster, and more! Q: Strange Journey’s setting stands out among fantasy JRPGs and even other SMT games. Why go for a military setting in the Antarctic? Eiji Ishida: I decided to make Antarctica the stage for this game to pay respects to the vaunted tradition in science-fiction disaster films where the majority of the “unprecedented danger” starts in Antarctica. I am partly joking about this, but one of the reasons was that I didn’t want the cause of the Schwarzwelt appearing to be tied to any specific country or people, so I decided to have it show up in Antarctica. I wanted the location to symbolize a place where the negative karma of all humanity would gather, and I wanted to start the story from a place that didn’t belong to anyone. As far as the military setting, everyone does have armaments, but strictly speaking those investigating the Schwarzwelt aren’t armed forces. The task force that the protagonist belongs to and the commander of the ship are all soldiers, but within the investigation team there are countless specialists in scientific and technological fields from all over the world. I think that having people from across the globe work together as one against an unprecedented danger is a setting that really raises morale. Q: What made you have a game where the main characters are adults in their 30s instead of the usual “teenagers save the world” trope that SMT goes for? Eiji Ishida: I didn’t consider this too much while we were thinking about the setting. When talking to Kazuma Kaneko, the creator of the original version, we naturally ended with those types of characters as we talked about the main points of the story and the setting. This storyline surrounding the investigation team descending into internal conflict amid a desperate struggle for survival was written as a representation of the whole of humanity, and it was decided upon at the very early stages of the discussion. I believe we determined that to write this from the viewpoint of a younger boy or girl would lose some of the reality. But then again, there are masterpieces out there like the film “Lord of the Flies,” so I think that a young boy or girl being the main character for this topic could have been just as entertaining. Q: What difficulties did you face when adding new story concepts to this latest version? Eiji Ishida: We’ve added a story that leads to three new endings in this game. It’s extremely difficult to try and explain this without spoilers, but this new story branches off from the original game’s story. Because of this, it was extremely hard trying to keep everything consistent. Since the story already has multiple plotlines tangled together like a bowl of spaghetti, my brain was constantly overheating from the detail overload. However, we were able to work in surprising turns of events that can only be done in sci-fi works, so I am very satisfied with the end product of this added story. Q: When developing this title, how did you decide on what new content to include? How much new content were you able to put in before your team decided any additional content should be saved for a new game? Or rather, was there any content that you felt didn’t fit the theme of Strange Journey, so you cut it? Eiji Ishida: There are two main points regarding the addition of new content: First is to add even more enjoyment and challenge for those users that have played and cleared the previous game. This includes the additional story and dungeon, and of course additional demons. Second is to add all sorts of ease of play for the users that are considering buying the game. This also involves adding graphics that make the game’s world look even more attractive. We also added things like multiple difficulty settings and character busts and voices to increase the level of expression within the event scenes. The event scenes evolved into a more dramatic look, and we believe we increased the emotional attachment to the story greatly. Furthermore, we created cutscenes that should convey the world of SJR even more clearly. It is like a preview to a movie, and there should be no problem drawing people in to the game’s world, so please give it a look! There really weren’t any specific ideas that were cut because they didn’t match the theme, but early in the development for the remake we were thinking of adding new rules to the demon fusion. However, the addition of these rules would have mischievously made the game more complex, so we did not add them. If we get the chance, we would like to implement those ideas in another game. Q: What inspired the new character, Alex? Eiji Ishida: Alex’s creation was due to us wanting to add a character that would symbolize the new scenario. She persistently pursues you, the protagonist, to try and kill you, but the reason why she chases after you will come to light in the added scenario. I’ll refrain from saying anything further so that I don’t take away the fun of playing this game. 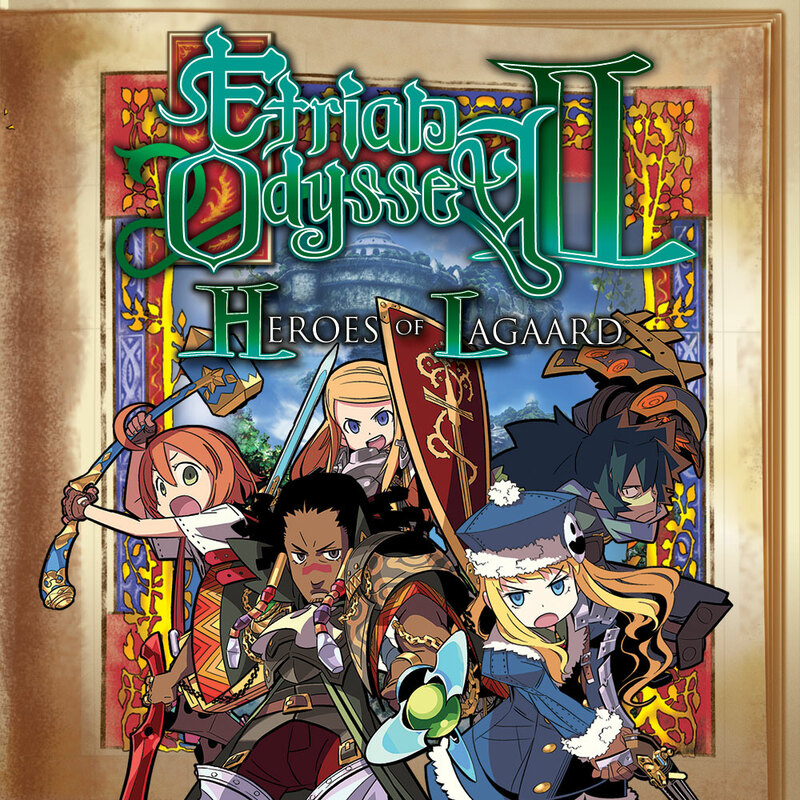 Still, when the reason for her actions is learned, the player will be forced to make a heavy and difficult choice. Q: Strange Journey was a great installment with an original story with an excellent sci-fi setting. Will you guys ever make a future title with the same sort of atmosphere? Maybe a story that takes place in space? 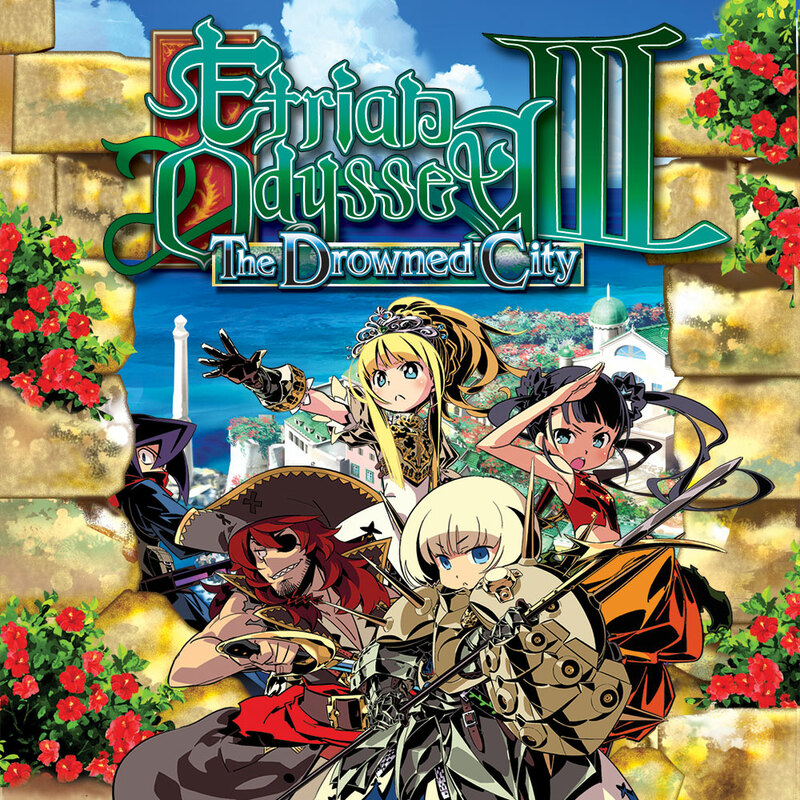 Eiji Ishida: If able, I would like to make a sequel to this game, but I currently don’t know if that can be made a reality. There is dialogue in the game suggesting the angel Mastema may have originated from somewhere beyond this Earth, so it wouldn’t be so strange if the stage was set in space as well! Q: What was the coolest scrapped idea you guys had for SJR? In this game we were planning on adding an additional element from the second run of the game, an in-game app called “New Megami Tensei”. It began as a joke that was implemented in the original version, and nothing would happen if you launched the app, but this time instead of a joke we were thinking of actually having the in-game app (a mini game) launch within the game. Q: What were you looking forward to most when revisiting Strange Journey for this remake? Eiji Ishida: For the original version, hearing the various comments through social media was a source of encouragement. (Of course, the opposite was true too, but that can’t be helped). I do look forward to hearing such direct impressions for this time as well. Coming from the development side, I looked forward to how well the more expressive event scenes turned out. Q: How did you guys come up with the idea for Strange Journey? Eiji Ishida: To borrow the words from the original version’s creator Kaneko, “Wouldn’t it be good to have a Megami Tensei that you could fill the space of the small gaps of time you had, like Tetris or Minesweeper does?” That was the start of the idea. Which means that at the start of development we tried to make something where you could keep enjoying dungeon exploration and demon fusing with not much story. You might find it surprising, but this is true. We were thinking of creating something with a different idea as a spin-off title. We ended up creating a story-rich game that was the opposite of the initial idea, but the concepts and spirit that were presented initially have been woven firmly into the game, and I believe it is a game that you can easily play with a short amount of time on hand. And this concept has not only been passed down to this remake version but strengthened even further. Also, regarding the story portion, it goes without saying that it has taken influence from science-fiction disaster horror movies such as “The Thing”. When developing the original version, the reboot of “Battlestar Galactica” (the pilot version) was airing in Japan, so this was often a topic of conversation, and I believe there were considerable influences from this work as well. Both works do depict survival within the harshest environment. Q: Shin Megami Tensei games are challenging. 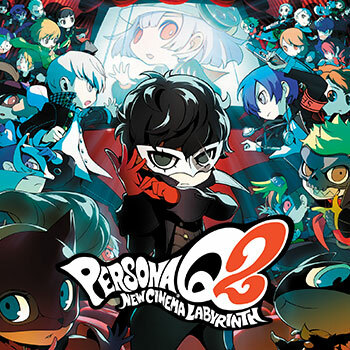 What do you recommend for those of us transitioning from the Persona series? Eiji Ishida: For the remake, we have added several difficulty settings. The difficulty you play on will have no impact on the ending, so feel free to choose the level that is most comfortable for you. I will also add that it is possible to change the difficulty at any time while you’re playing the game (except for the hardest difficulty, in which case you can’t). If you feel like the game is too hard, try changing to a lower difficulty, and it should become more manageable. DLCs, both free and paid, that provide players with additional support will be available at launch as well, so please check them out. We’ve also made it so that you can now save and suspend your game from within dungeons. Even if you die in battle, you won’t have to start over from a save station like in the original game. Now you will have the option to restart near the last place you saved within the dungeon. As long as you save somewhat frequently, you won’t feel like you’re losing a significant amount of progress… I hope! Q: I’m a huge fan of the Persona series. One of the big reasons for that is how interacting with certain characters can affect gameplay. Is there a similar system in this game? Eiji Ishida: I would like to say yes, but unfortunately, there isn’t a system centered around deepening your relationships with other characters. 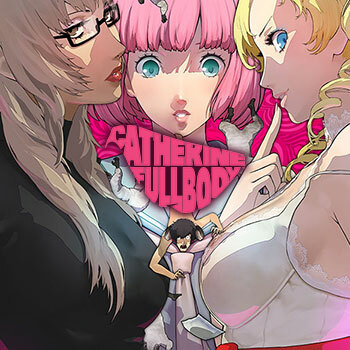 Strange Journey is a story about a clash of ideologies, so there is some level of trust that is formed between you and your allies, and you get that feeling of being part of a team, but it’s not quite the same as what you get in Persona. That said, the story isn’t all killing and nothing else; we mixed some lighthearted humor in as well. Your fellow soldiers can sometimes give requests that are different from the usual serious side quests you get as you play through the story. These often come with a light comedic touch, and can range anywhere from confronting a demon that has taken over the bathroom, to assisting a man who has fallen in love with a demon. Q: Will it be fun for newcomers to the Shin Megami Tensei series? This will possibly be my first one. Eiji Ishida: Thank you for taking interest in this game. 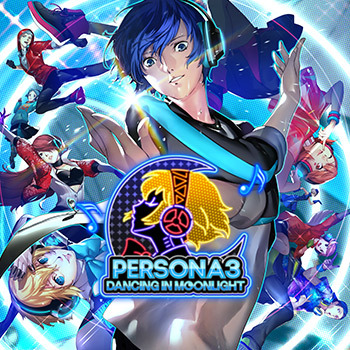 This one is more like a spin-off from the Shin Megami Tensei’s numbered series and requires no prior knowledge to play. 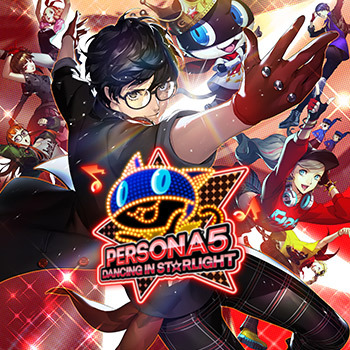 This game is rather challenging even within the Shin Megami Tensei series, but in this remake, we’ve added an option that allows you to adjust the game’s difficulty to your liking. We hope that you enjoy it! Q: Since religious imagery and symbolism play a huge part of your games, do you have a favorite myth, lore, or culture/religion that’s not your own that you find particularly fascinating or inspiring? Eiji Ishida: I think the impact that religion has on someone will differ from person to person, but what personally interests me the most is what form some of these religions initially started in. Naturally there are religious figures who are considered deities in a more traditional sense, but I like the kinds of beings that humanity created to answer a need, like the yōkai that are born from Japanese folklore. I also like the idea of godlike beings born from a shift in values as the times change, like “Media” from “American Gods” by Neil Gaiman, because those gods are strange, yet believable. Q: Would you like to make another military-themed Shin Megami Tensei game? Eiji Ishida: Yes, if it’s possible, I’d like to create a continuation of this game, but lately I’ve been wanting to try creating a story with a setting that is more like a slice of life. Perhaps something like a secret academy where demon tamer students gather would be interesting. Q: Which alignment do the devs choose when getting to play the games after finishing development? 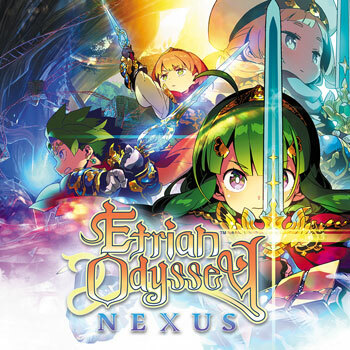 Eiji Ishida: While the game was in development, I had to play it over and over and over and over… and over even more, so honestly, I don’t want to touch this game for at least a couple of years. Personally, I like the Neutral Route, so I think I’d choose that route if I were to play. But then again, if I play it based on how I honestly feel, I’d probably end up in the Chaos Route without me even noticing it… (lol). Q: What is the criteria that the developers use to select demons to put in the compendium? 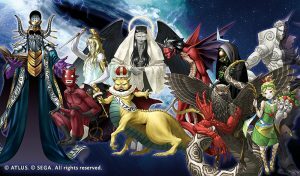 The diversity of the deities and demons present in the games are one of the best SMT characteristics that make the games unique. Tatsuya Watanabe: Our criteria for the demons we select is based on the theme of the game and its story. There are no relative merits when it comes to how popular or unknown the demons are. Personally though, I’d like to select an obscure deity that can’t be found online as one of the main pillars of a newly introduced demon. If I do a web search on that deity after the game’s release and see a Shin Megami Tensei-related page in the results, that will definitely put a smile on my face. Q: What is the timeline of all Shin Megami Tensei games? Do the events of all the Shin Megami Tensei games occur in the same universe or dimension? Eiji Ishida: This game takes place in a world and timeline that is different from the other entries in the Shin Megami Tensei series. The Demonica Suit does appear in Shin Megami Tensei IV too, but there are no timeline connections between them. Had they been connected, perhaps we could’ve included some interesting crossovers, but there is no need to have any knowledge of the other games to play this one. Q: Are there plans for a default female main character, or at least the option of a female MC for future titles? Eiji Ishida: This would depend on each game’s director, but if I ever am given the chance to make another Shin Megami Tensei game, I’d like to consider such options. By the way, though it was never released in the US, “Shin Megami Tensei If…” for the Super Famicom [SNES] allowed you to choose the gender of the protagonist. Q: Any plans expand the moral options to the game beside the classic chaos/neutral/law? Perhaps it could include something like we have seen in the Witcher, Mass Effect or Fallout New Vegas, to name a few. Eiji Ishida: This would also depend on each game’s director, but if I ever am given the chance to make another Shin Megami Tensei game, I think I would like to expand on that aspect. However, I am also interested in working on a project with a storyline that does not branch off. I would like to write a story similar to “The Last of Us,” which follows the very personal journey of one man. I have been particularly interested in these types of works lately. Q: What is the team’s writing and planning process like? How do you choose which demons might take a bigger role in the narrative of a single entry in the games? 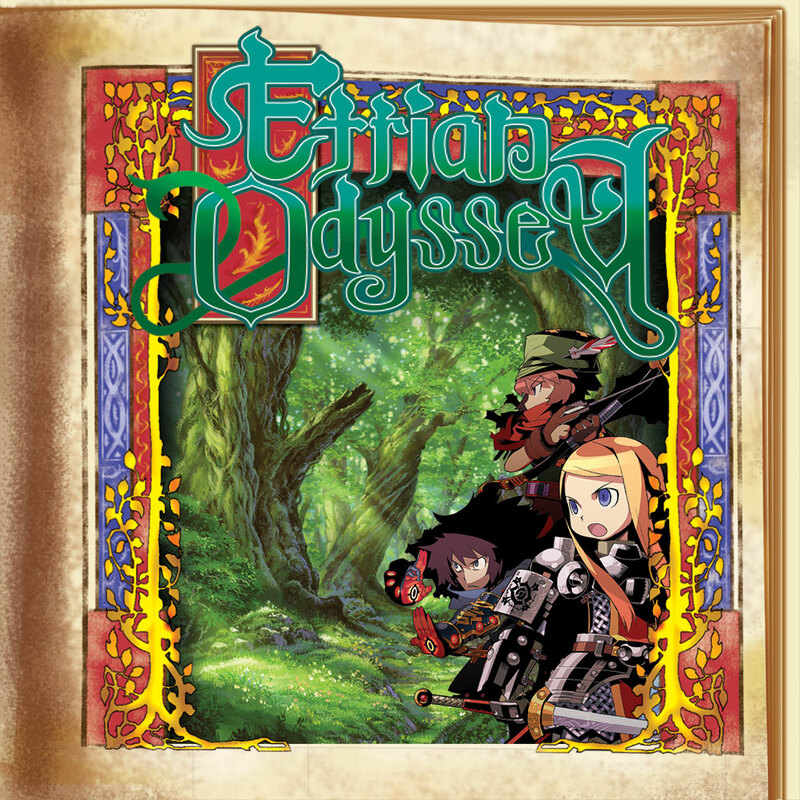 Eiji Ishida: Since video games are an interactive form of entertainment, we think that what’s most important is what we call an “experience-based theme” where we consider what we want the player to experience through the game. For Strange Journey, a game system and story with theme of “exploration” was taken into consideration. By doing this, the game system and story can unfold in the same direction, allowing for a level of cohesiveness between the two. The player is taking part in is an investigation party with exploration as their goal, so the game system became one where you expand and improve your abilities to further this exploration. As for the selection of demons important in the story, we consult staff members that excel at thinking through such things and other members that design such demons. For Strange Journey, the final enemy is XXXXX (spoilers! ), so we concentrated on choosing XXXXX-like deities for the demons that take on important roles. When we choose demons based on the prerequisites of the story, we are able to select demons that are persuasive and match the story’s world setting, but as a result, this does limit our selection process and decreases their variations. That is the difficult part of trying to make this work. Q: How do you research your information for demon designs what sources do you look at to find stories from mythology from around the world and how do you incorporate that into the final design? Masayuki Doi: It all begins with going through the materials such as books, mythology-related websites, and other resources put together by the person in charge of the story setting. And based on those materials, I sketch out details that could be used in designing the demons and characters, and then I discuss which is the best design amongst the team. Whether their designs remain faithful to the original mythologies or certain aspects are exaggerated is decided through this process. Q: What inspires you guys to keep writing the stories you create? And how do you come up with settings and area designs? Eiji Ishida: I’ve only directed Strange Journey in the Shin Megami Tensei series, but I think that the story depicted in the SMT series isn’t as simple as a showdown between demon invaders and innocent humans. I believe that the series has continuously depicted the clashes between complex ideologies and the cooperation that forms between people. With that in mind, occurrences that can easily be used as themes in such stories constantly take place in the real world we live in, for better or for worse. I believe that there are many instances where we gain inspiration from such human actions. As for the area design question, the first half of Strange Journey’s dungeons were designed as spaces that are the materialization of the negative karma that mankind has cast upon the Earth, such as environmental destruction. They can also be taken as direct messages from the Earth of how mankind must reflect on the actions they have taken. Q: How do you come up with these unique character designs in each game? Masayuki Doi: This process isn’t too different from how I design demons, but I think about what parts of the character to emphasize through the materials put together by the person in charge of the story setting. For example, in regard to Alex, her role in the story is contrastive to the Red Sprite’s crew, so while I was designing her I was mindful to give her a different equipment set and silhouette than the Red Sprite’s crew. As a result, I believe that her final design is a contrast to the others and is uniquely different from them. Q: At any point, were there plans to have a Shin Megami Tensei game take place completely in the Western world (with the exception of SJR) or worldwide? Eiji Ishida: I cannot answer concerning what we have lined up for the future, but as I answered earlier, I do daydream about different possibilities. Some of those include having one take place in space, or making one take place in Hell and the protagonist is a low-class demon who strives to become the commander of Hell’s army. Either way, these may be fun ideas to pursue. Q: Does fan input from surveys contribute to any of the recent projects and/or ideas? Eiji Ishida: For this remake, we took a lot of player feedback into account. It might be difficult to see if you compare the original and the remake side by side, but quite a number of improvements have been made based on the players’ opinions, which should create a more enjoyable gameplay experience. Q: How have modern games, developed by ATLUS or otherwise, influenced the direction of the Shin Megami Tensei series, which is over 20 years old at this point? 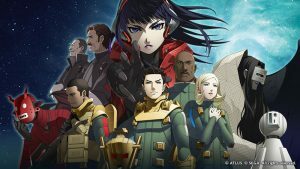 Eiji Ishida: Strange Journey is the only title I was involved in as a director, so I cannot say anything to summarize it all, but I think that there are constant outside influences. It’s hard to answer in detail what kind of influences because there are too many of them, but since we keep making games where the player must clash with others who have different beliefs, I’ve been influenced by games that depict such conflicts (and alliances). Still, this influence isn’t just from video games. I think that I’m influenced by movies, novels, and even real-life incidents. I can’t say in detail since I haven’t played this game yet, but how Far Cry 5 attempts to integrate social backgrounds that are very difficult to handle into the game world is impressive to me, as a creator myself, and I commend their bravery on tackling such themes. 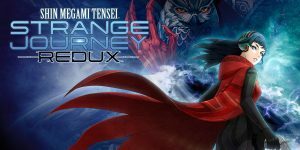 * Strange Journey Redux launches on May 18 in Europe.